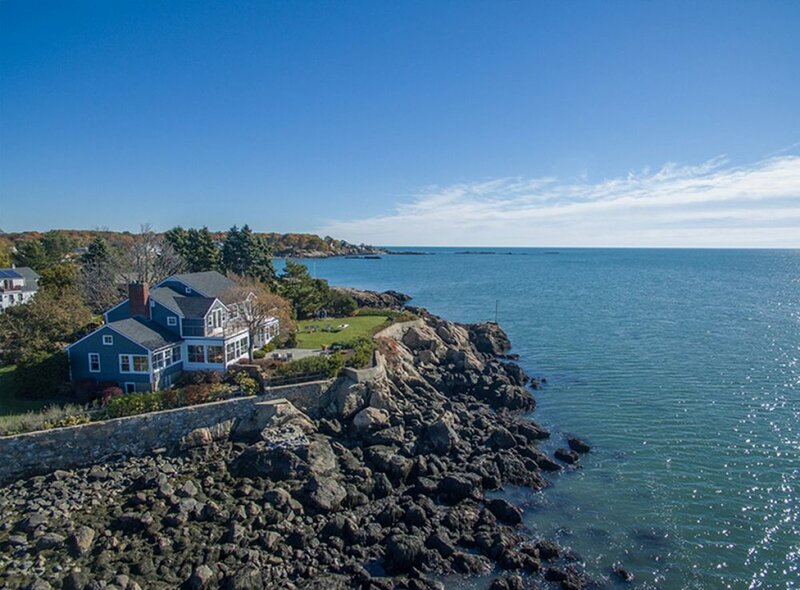 This gorgeous colonial beach house in Swapscott, Massachusetts is literally on the edge of a rocky cliff, and the ocean views are endless. 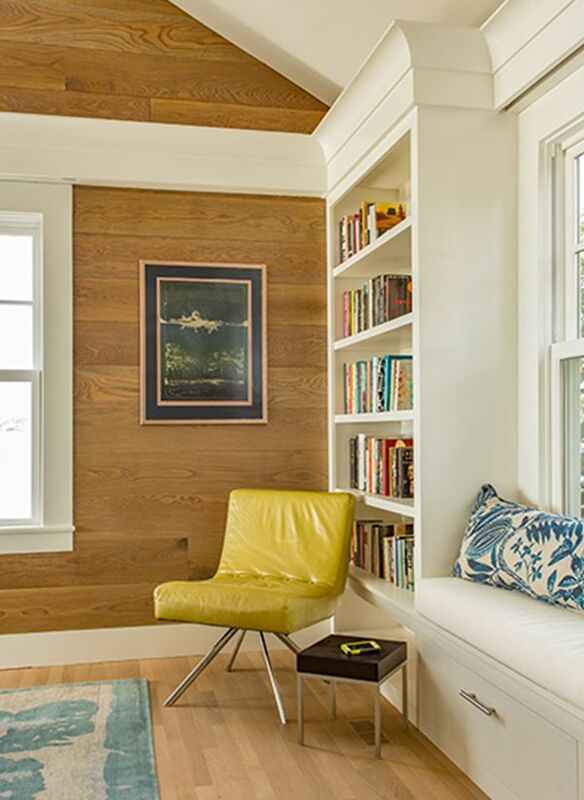 SV Designs, decided to design a house that wasn’t a traditional coastal home, and to achieve this, they created a bright and airy interior. 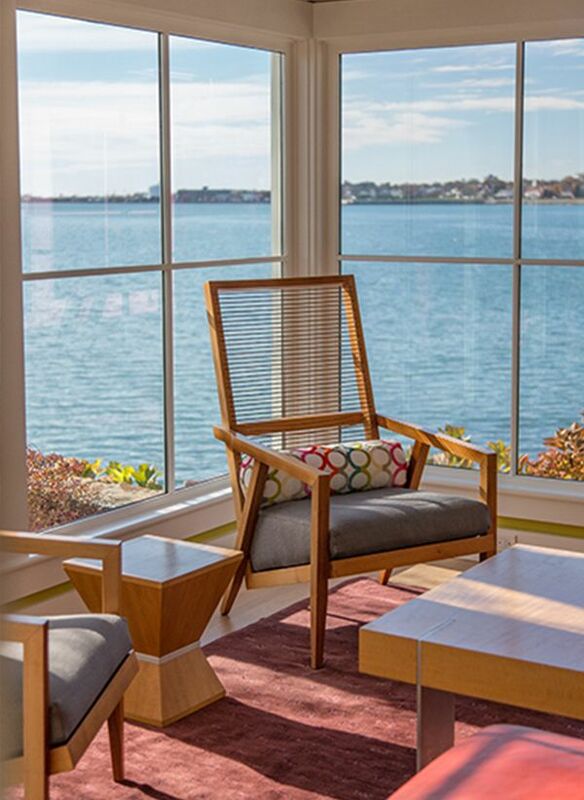 They started by adding more windows to bring in extra light, and to balance the moody ocean blues they added warm furnishing and pops of color to the interior.